K. William Gibson - Mediator & Arbitrator based in Clackamas, Oregon. K. William Gibson has practiced law in the Portland, Oregon area since 1979, concentrating his practice on personal injury litigation. He began serving as an arbitrator and mediator in the early 1990s and has been working as a full-time neutral since 2000. His arbitration and mediation work includes personal injury claims, insurance claims, real estate and business disputes. 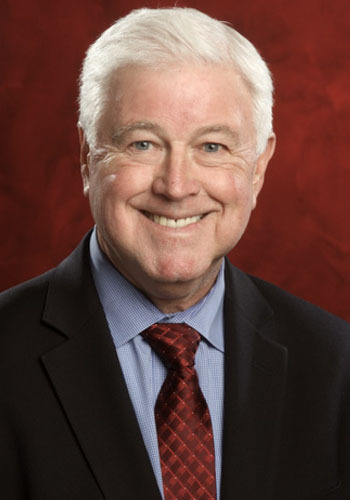 Mr. Gibson is a member of the American Bar Association Dispute Resolution Section and the Oregon State Bar Dispute Resolution Section. Bill received his BA/MA from the University of Oregon and his JD from Lewis and Clark Law School. He received his 40-hour mediation training at the San Diego Mediation Center in 2003. Bill is a former Chair of the ABA Law Practice Division and immediate past President of the College of Law Practice Management. He has written several books on law practice management, including his latest, “How to Build & Manage a Personal Injury Practice”. He is the editor and a contributor to the upcoming book, “Flying Solo: A Survival Guide for Solo and Small Firm Lawyers”. In 2013, he was given the Samuel S. Smith Award by the American Bar Association Law Practice Division for his contributions to improving law practice management.